"Every morning in Africa, when a Gazelle wakes up, it knows it must run faster than the fastest lion or it will be killed. Every morning a Lion wakes up, it knows it must outrun the slowest Gazelle or it will starve to death. It doesn’t matter whether you are a Lion or a Gazelle… when the sun comes up, you’d better be running." We’ve heard this quoted every time when talk veers about running. For humans though, running is not a means for survival, but it certainly is a means for healthy living. I am a resident of Chaithanya Samarpan, a layout in the Kadugodi area, a few kms north of Whitefield. Our layout is buzzing with runners. While there are many people who run anywhere between 1km to 5km on a regular basis in Samarpan, a rare fever called "Marathon Running" is getting infectious and spreading quite fast here. I dare say it could be because of all the TDS (total dissolved salts) in the water! In 2008, there was only one resident here running marathons – Partha Roy. Roy is a senior director at a city-based financial products firm. By the end of 2010, there were two full marathoners and four half marathoners in Samarpan. In the just concluded Standard Chartered Mumbai Marathon on Sunday the 15th Jan 2012, five people from Samarpan completed their full marathon – Partha Roy, Naresh Kumar, Prasun Bandyopadhyay, Gaurav Bhatia and myself, everyone finishing under 5 hours. Ananthu Ramasamy did the half marathon. For Kumar and Bandyopadhyay, this was their first ever full marathon. From L to R : Ananthu Ramasamy, Partha Roy, Prasun Bandyopadhyay, Naresh Kumar, Gaurav Bhatia, and K Sridharan (author) after the race. The primary reason for this is the availability of running spaces, just behind Samarpan. We are very fortunate to have noise free, pollution free, traffic free, dog free, lush green stretches with clean air for trail running as well as road running. It is such a pleasure to go out and run early in the mornings that our weekend is never complete without a long run on the trail or on road. It is refreshing and rejuvenating. People who have experienced the joy of running out there, like to keep going back week after week! For each of the runners, the journey has been unique and inspiring. “Running 10K (K short for kms) was a struggle at the beginning”, says Bandyopadhyay, a senior scientist at a multinational FMCG major. He attributes his getting to the 42k-level to motivation and excellent guidance from his seniors and a ‘can do’ spirit. For Naresh Kumar, the transition has been profound. “There was a time I used to think that running 5k as good enough and anyone running more than 5k was only punishing themselves”, says Kumar. From there, Kumar has come to the point of going through the 10k and 21k runs to close out as full marathon. “Running no longer seems like an exercise for me now, every long run (in excess of 20K), is satisfying and exhilarating. Each race has a different appeal, Auroville is awesome for the picturesque trail, Mumbai is outstanding for the route plus the amazing crowd support!”, says Kumar, a general manager for Asia Pacific at an Electronics Test and Measurement firm. Before moving to Samarpan, Gaurav Bhatia had already beeing doing half marathons for about five years. “But a full marathon is a totally different and intense game!”, he says. “I would have not done this full had it not been for the group at Samarpan that helped me discover the amazing running trails near here and gave me the camaraderie and support in the long distance training”, says Bhatia, a software engineering leader at an IT major in the city. “Marathon running is all about training not just the body but the mind and a great running group inspires and pushes you to go reach out for the extraordinary!”, says Bhatia. Kumar agrees that a group to run with makes a big difference. “Importantly for running, you don’t need to invest in anything other than a good pair of running shoes, but of course you need a couple of good running partners”, he says. Ananthu Ramasamy says it was an impulse move for him to take to running at Samarpan. “We start doing a few things without much planning, only following the group of people around us. Running is one such thing for me, which didn’t need much thinking. I’ve participated in a few half marathons. I keep improving day-by-day”, he says. Ramasamy is a consulting director at a major IT firm in the city. For those wondering if 42 kms is possible at all, Ramasamy takes a jab. “I will say you have to first participate and get paced by a few senior citizens! Then you will know what one can do”, he quips. So if running a marathon is in your bucket list or even if it is one of your wildest dreams, consider yourselves lucky that you are in the right place! And needless to say, may this tribe continue to grow in Samarpan! More strength to all the Samarpan runners! Amid the continuing saga on never-to-see new housing for people at the Ejipura slum, nearly 6500 people are now suffering due to a water supply outage. 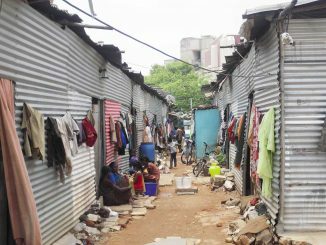 The slum is adjacent to Koramangala 8th Block in Bengaluru. 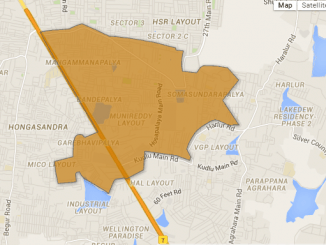 If you are a voter of Mangammana Palya ward, here is all that you need to know about your ward: Who is contesting, what are the problems, how has the BBMP addressed them in last five years. Attachment parenting is what comes to us naturally, we just didn’t know the name for it until now. No wonder our Hindi movies are full of references to Maa ka anchal/maa ka pallu and so on.